It’s the last week of the month of Ramzan now, and anticipation is high for the upcoming Eid festivities! 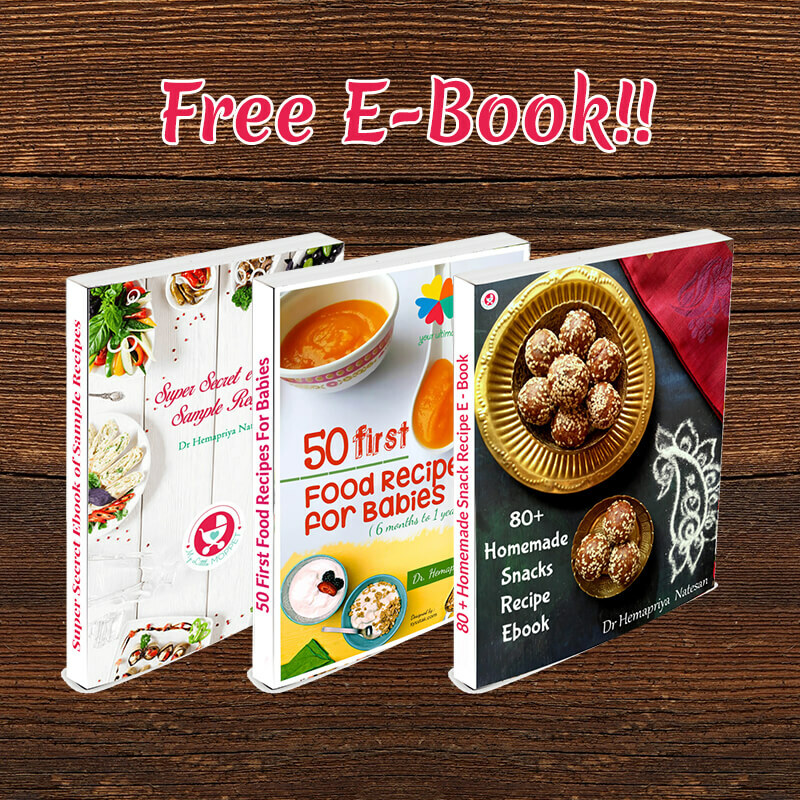 But while we’re still in the fasting month, we might as well focus on Ramzan recipes!! Iftar is when the day long fast is broken at sunset, and it is traditionally done with dates and milk. 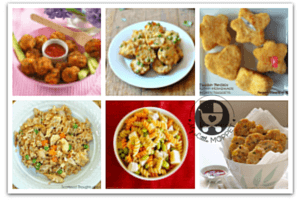 Today, we combine the two into a yummilicous recipe that is great for toddlers.  This way, even the littlest ones can participate in breaking the fast with the adults! 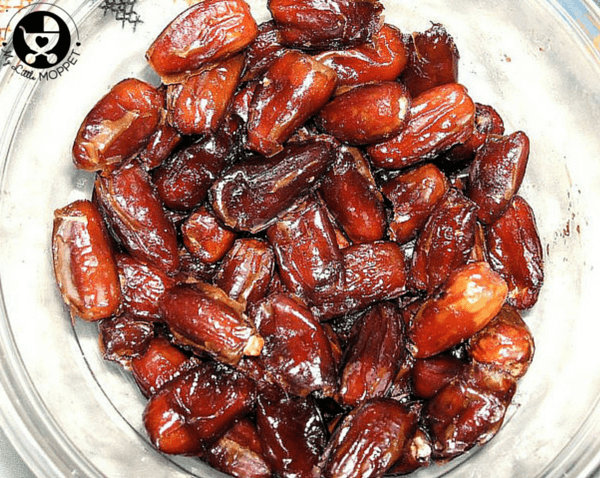 When buying dates for your toddler, opt for organic as far as possible, and check for sulfite free versions. Buy dates that are completely ripe and soft. 1. Soak the peeled almonds and dates in hot milk for 30 minutes. 2. 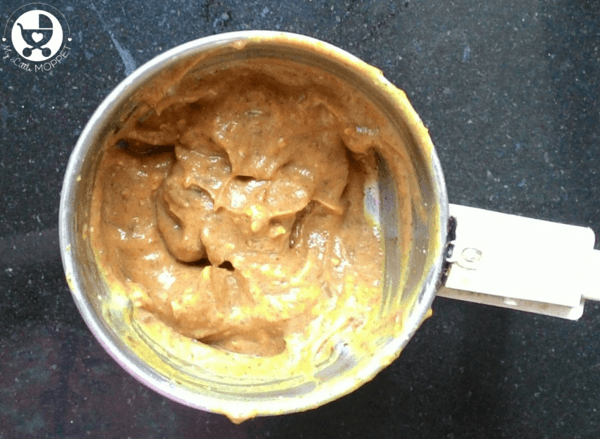 Grind the almonds and dates along with the milk to a smooth puree. 3. In a blender, blend together the cold milk and date-almond puree till completely combined and smooth. If necessary, add some honey to taste. You can skip a step and use ready made Dry fruits powder instead of peeling and grinding almonds. 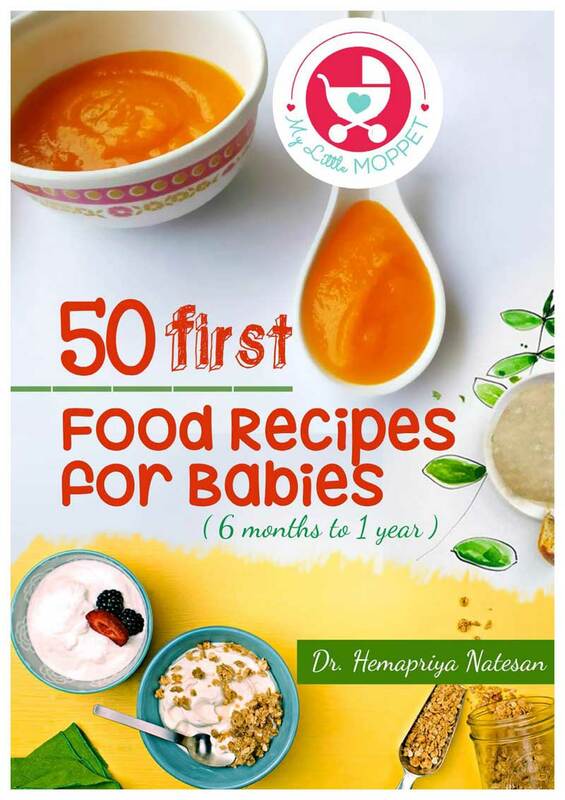 Do keep in mind that you can’t give honey to babies under 1 year of age. 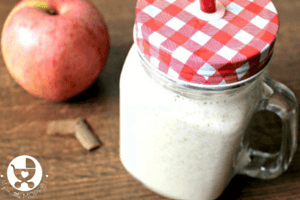 This is a really easy and very nutritious drink for toddlers. 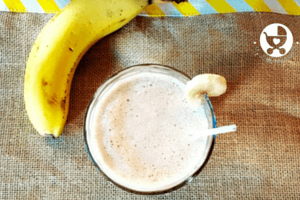 You can make it a great drink for summer by adding a scoop of vanilla ice cream in the blender. To make it thicker, add a small banana. There are so many ways to make this drink, so if you’re out of ideas for Ramzan, now you know what to do!! 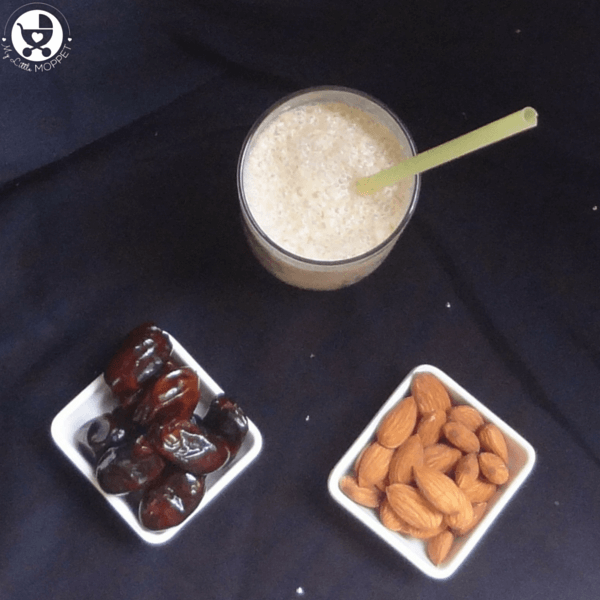 The Ramzan fast is traditionally broken with dates and milk. 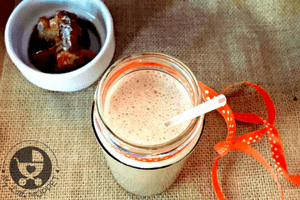 Here we combine the two into a nutritious and yummy Date Almond Milkshake for toddlers! 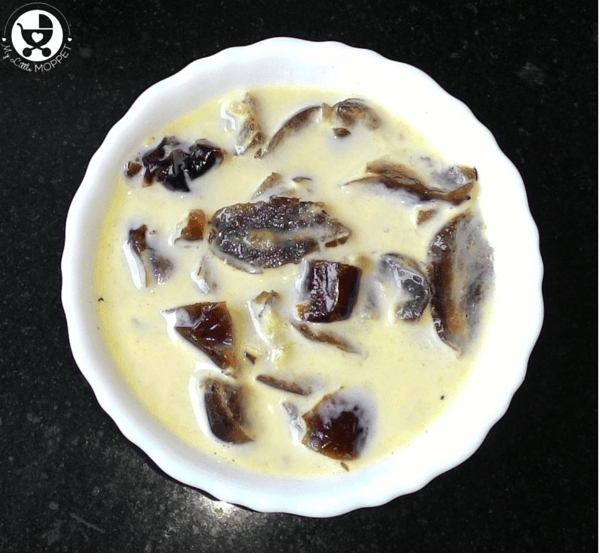 Soak the peeled almonds and dates in hot milk for 30 minutes. 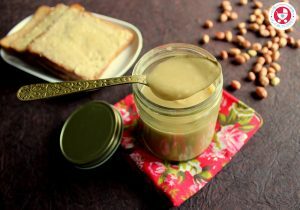 Grind the almonds and dates along with the milk to a smooth puree. In a blender, blend together the cold milk and date-almond puree till completely combined and smooth. If necessary, add some honey to taste. My son is 1.6years old. Doesn’t drink plain cows milk. We add 1 scoop of formula milk for taste. 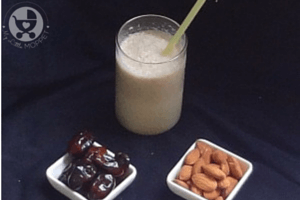 Is it fine to offer almond dates milk everyday or cows milk with one date everyday? 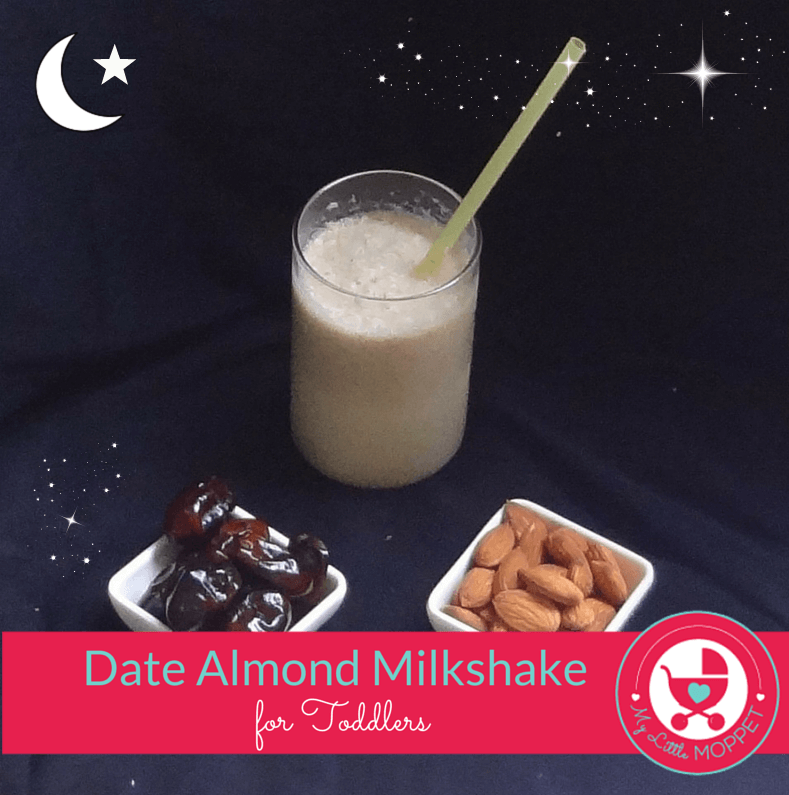 Yes you can add Date Almond milkshake to your baby in cow’s milk daily or on alternate days. It is best if you feed it on alternate days. 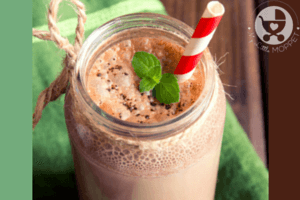 The rest of the days you can make some health drinks in home or you can use some other health drinks to add into the milk and can feed your child. Nice recipe, at present I m giving milk boiled with 2 dates to my three year old boy once in a day. Am. I doing right thing? 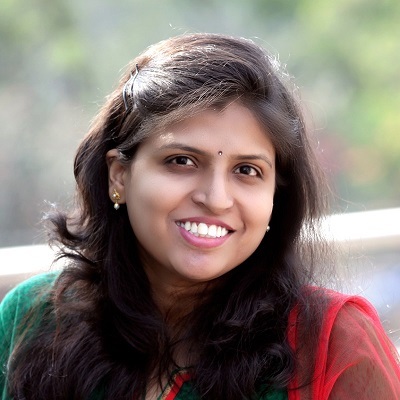 Do keep in mind that you can’t give honey to babies under 1 year of age, rest should be fine. Feed small quantities.